"This was the first numerically of the AN68 type of Atlanteans for Plymouth, here seen at Bretonside bus station. 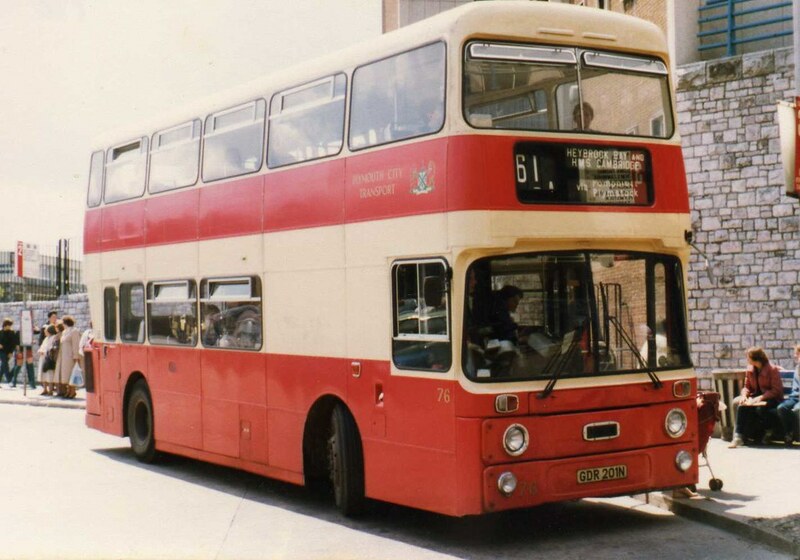 Those of this batch (76-90) had Park Royal bodywork. Later deliveries had similar bodywork, but by Roe." A classic shot of a classic Plymouth Citybus Atlantean in a classic livery. I wont go so far as to say its a classic location, but at least in this view you don't get the full horror of Bretonside Bus Station, and it actually looks quite a nice day. Don't forget to visit AECRegents Photostream for more great photos like this one with over 9700 photos to see. Might take a while!